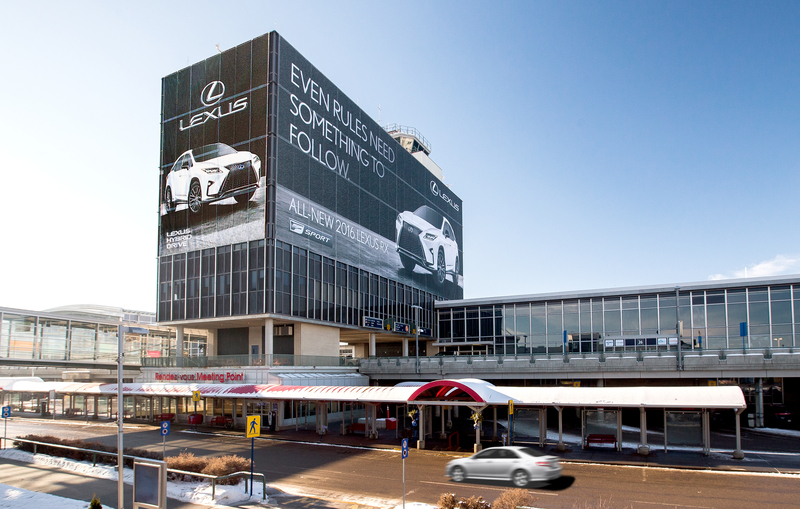 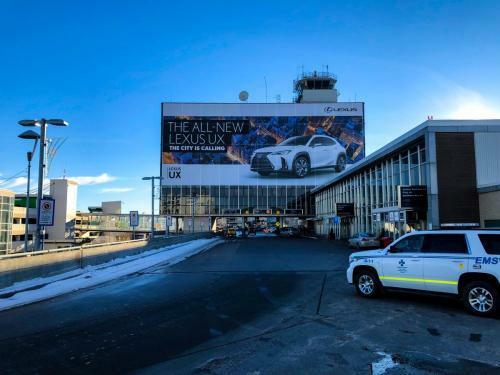 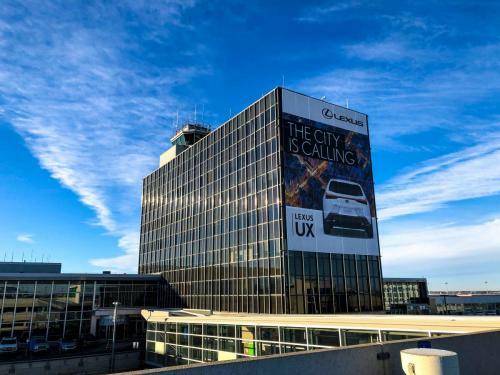 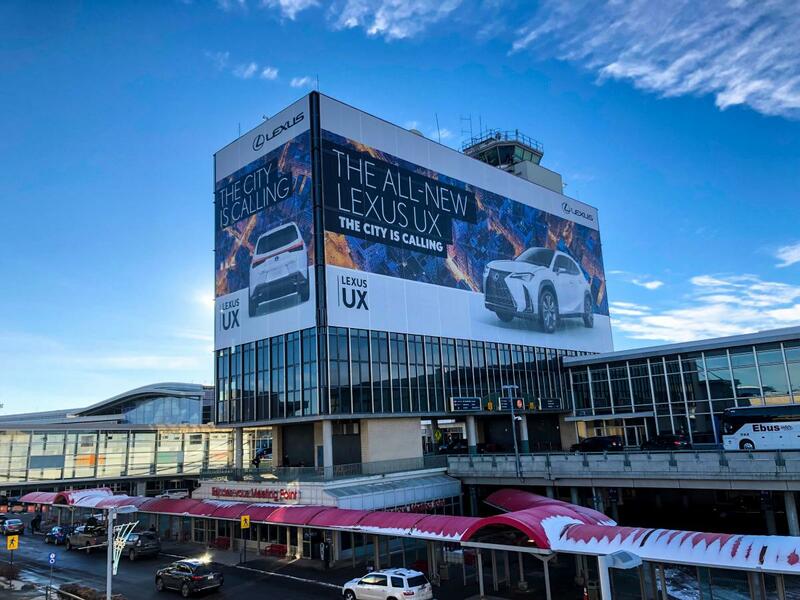 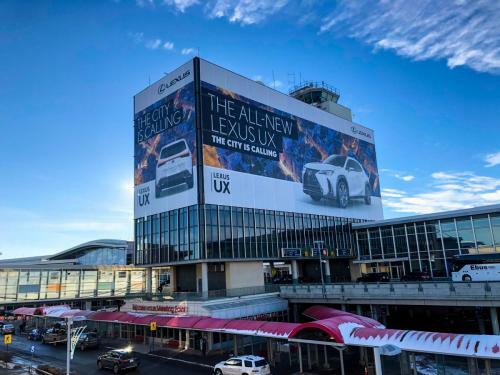 Each fall since being awarded the opportunity to display tower advertising at the Edmonton International Airport in late 2015, Pattison Outdoor has spearhead a series of visually-striking Lexus of Canada mesh banner wraps that cover the majority of the North- & East-facing sides of the original EIA air traffic control tower. 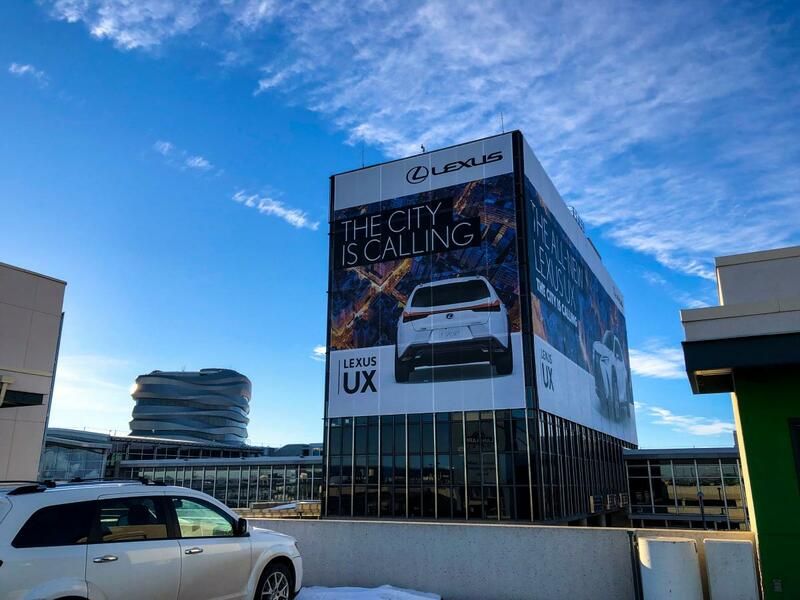 Measuring in at 558″ wide by 720″ tall on the East face, and 1765″ wide by 720″ tall on the North face, these ads are produced in 16ft (192″) panels and finished on all edges with grommets to affix to the existing exterior cladding, requiring a small team of professional and accredited installers. 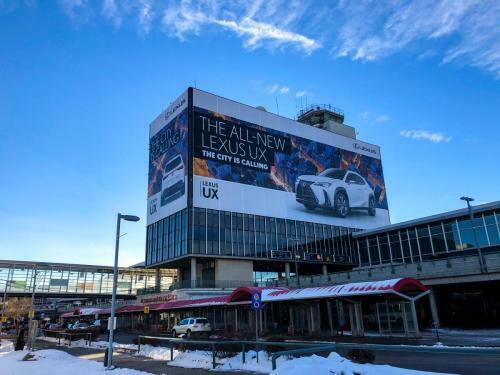 Removal and replacement typically takes the team two full business days to complete. 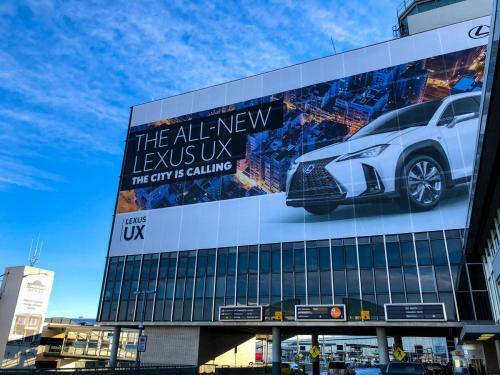 Below are some images of the most recent Lexus UX advertisement, installed in November 2018, along with one of the initial renditions from 2016, taken from MediaInCanada.com.